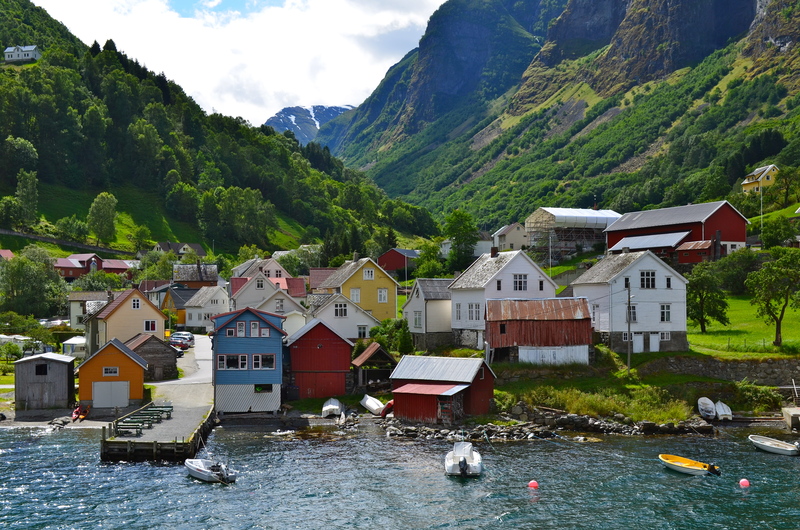 This time last week, Bobby and I were waking up in the cozy Norwegian village of Flam. 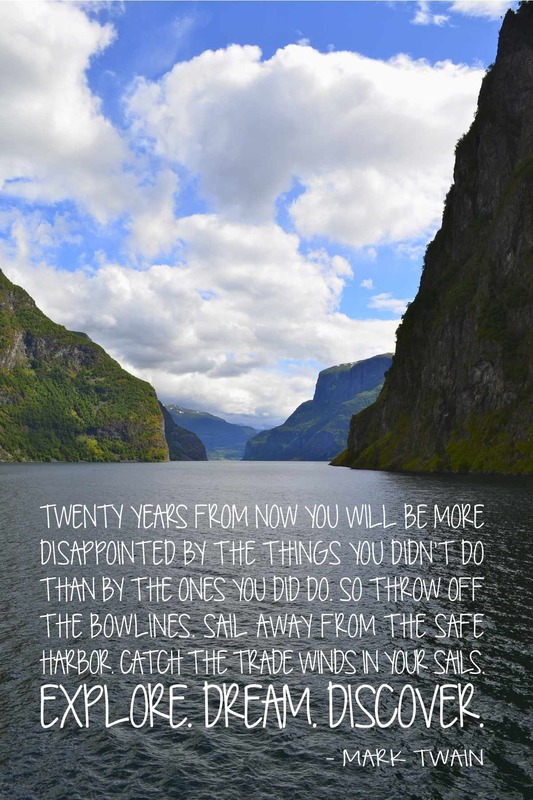 Nestled between two towering cliffs carved out by glaciers, it’s easy to see why it’s such a popular destination. It was one of the most beautiful places I’ve ever been! 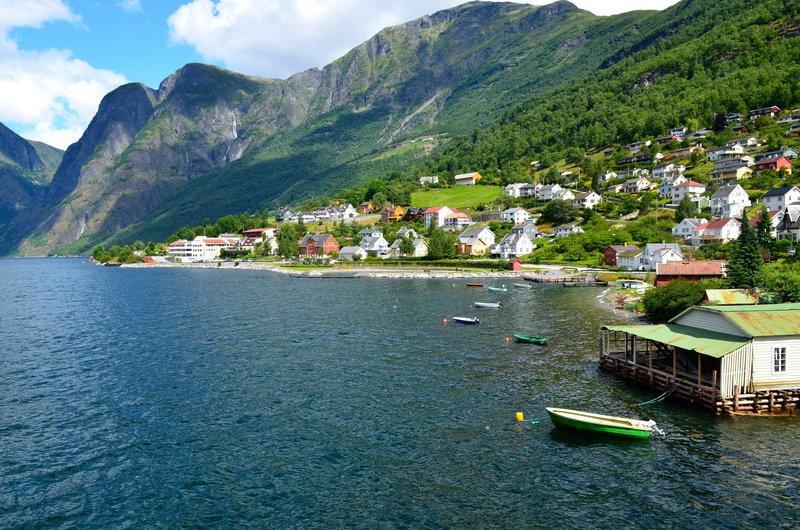 After a scenic train ride and a visit to a local brewery with my family, we took a breathtaking boat ride through some of Norway’s most stunning fjords. 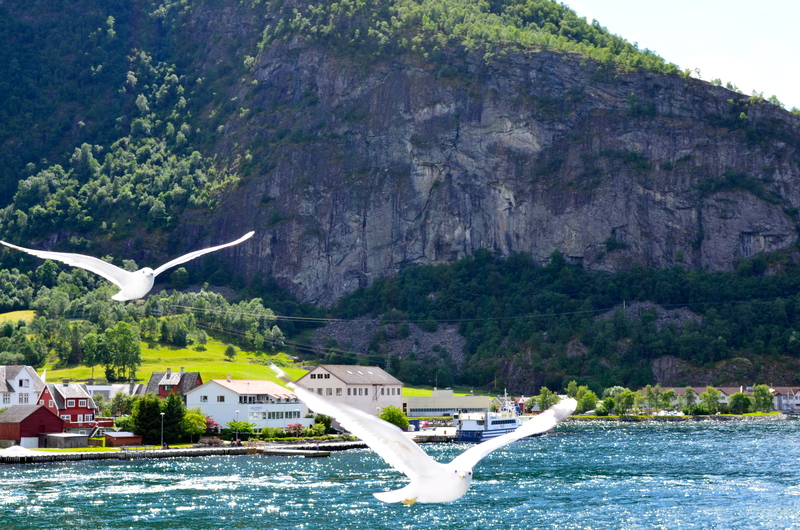 A few hungry seagulls joined us as we cruised the narrow waterway, catching glimpses of one towering waterfall after the other. It was gorgeous! 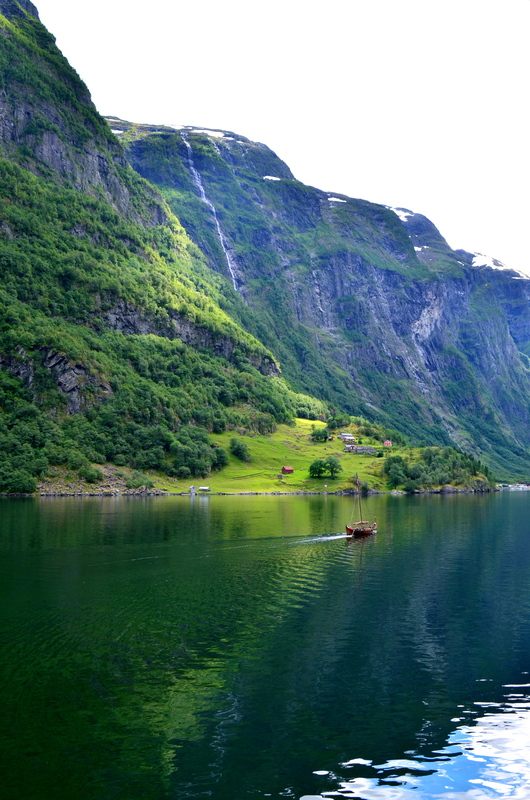 The scenery was so green and pure… afterwards we declared the fjords a “must-see” of any Norwegian adventure. We spent the rest of our trip exploring the city of Oslo and hanging out at my parents’ chic downtown apartment. Oslo is such a charming city. There’s several famous Munch paintings to admire, impressive Vigeland sculptures to see, and infinite espressos to sip. Yet it’s not an intimidating city to visit at all. The people are lovely and friendly, so I can see why my mom loves living here so much. :) I hope to go back someday soon! Welcome to One Charming Life!